The stickier you are the luckier you are when you spin the reels of the Stickers Slot from NetEnt. Land Wilds on the reels and you will activate a bonus feature that could lead to you winning huge money rewards. A vibrant and peppy game, you will want to stick to playing this slot again and again. 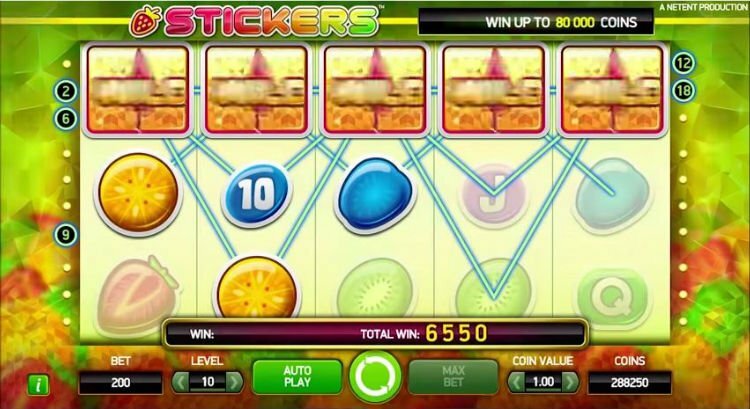 NetEnt has created another fantastic slot game called Stickers and this Stickers slot review will tell you all about it! Featuring 5 reels, 3 rows, and 20 paylines, the Stickers slot machine is a relatively simplistic video slot that does not rely on flashy 3D graphics to impress and thrill players. Instead, it’s a straight forward game that gives players the chance to score bonuses and win big! This may not be a Stickers Fruits Game in the traditional sense, as in it’s not a classic slot machine. However, the images on the game’s reels include all different kinds of fruits such as strawberries, blueberries, kiwis, oranges, etc. There are also the traditional playing card values 10, J, Q, K, A, which is common with many video slot games. Additionally, the game features a ruby spade, which acts as the Wild symbol and can trigger sticky spins. The graphics are very basic but visually appealing in both their shapes and color. The game’s up-beat music and bright design provides a very positive playing atmosphere. Available for both online and mobile platforms, Stickers slot can be enjoyed in the comfort of your own home or when you are on-the-go. Easy and fun to play, you’ll delight in this real money slot’s high-paying bonus game. 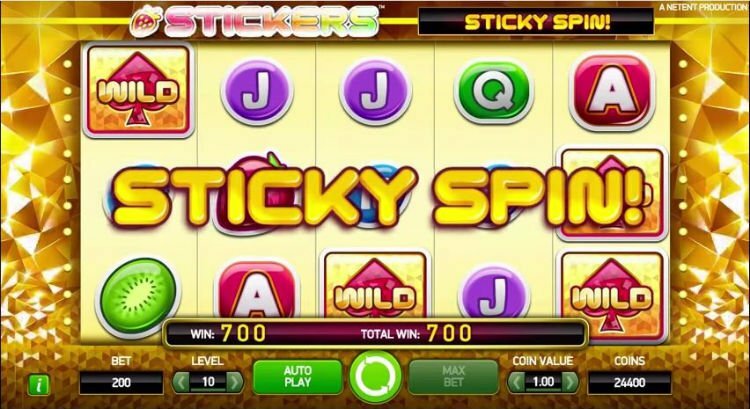 Stickers slot bonuses include the Sticky Wild and the Sticky Spin feature. That being said, essentially the game has a single bonus game. While not bursting with bonus features, the good news is that you can expect to trigger this slot’s bonus feature multiple times as you play. The reason is that all that you need to do is to land a Wild symbol on your spin and you’ll activate the sticky spin feature. This results in an immediate free spin, during which the Wild sticks on the reel. If more Wild symbols result on the free spin, another sticky spin round will occur, with all past and present wilds remaining in place. This will continue until no new wild symbol appears on a spin. 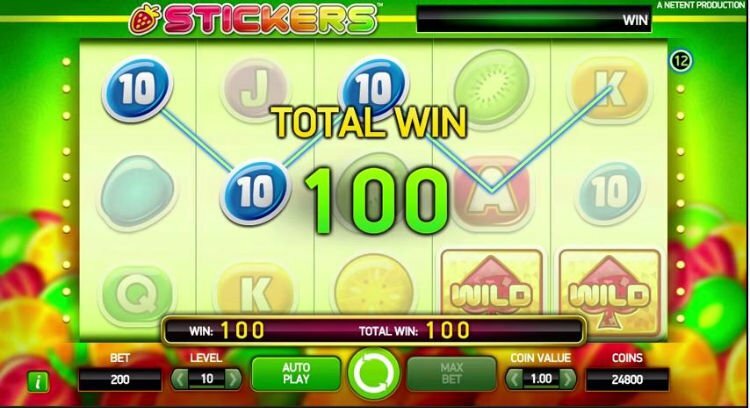 In essence, the more wilds you achieve and the more free spins you score, the higher your chances of winning playing the Stickers slot.